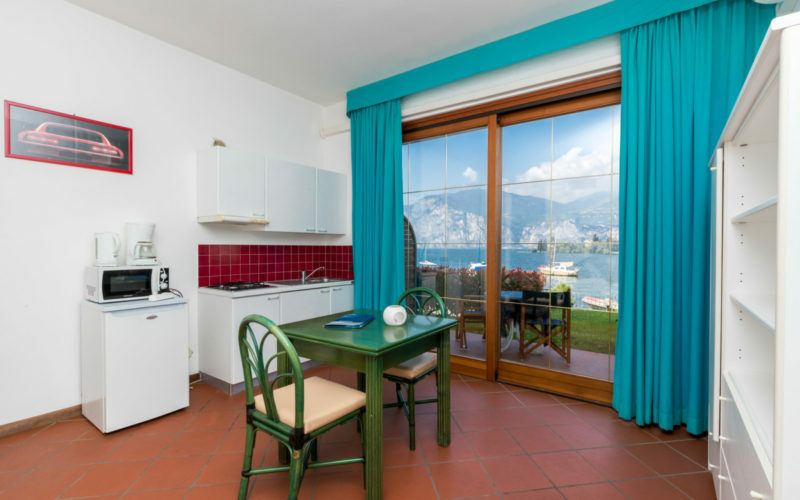 Hotel Residence Sporting is in Malcesine overlooking the blue shores of the bay of Val di Sogno: a corner of paradise, one of the most beautiful small bays of Lake Garda. You will find yourself in an oasis of peace surrounded by olive trees, cypresses and broom. In front of you the lake is displayed in all its splendour, lying between the high mountains of the Northern Alps. The centre of Malcesine is two kilometres away and can be reached easily on foot or by bicycle along the path by the lake, or with the Tourist Bus which stops in front of the appartments every hour. 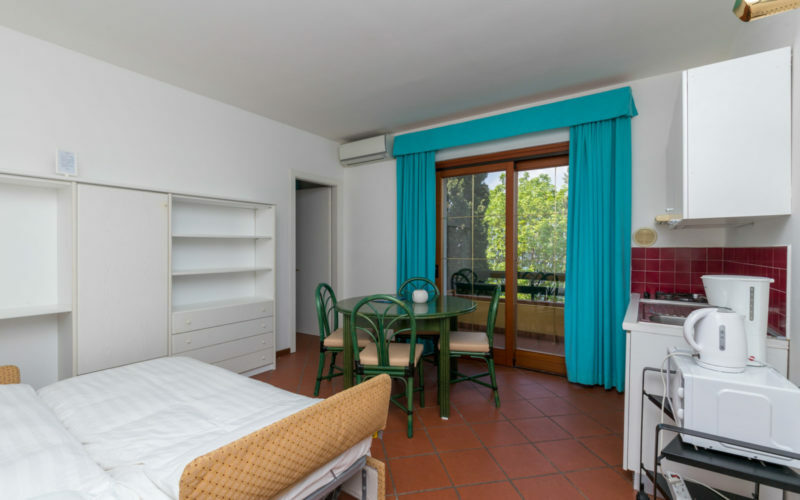 The appartments are studio apartments, all with a lake view and large balcony or garden. The apartments are new build and have heating and air conditioning, kitchenette, telephone, satellite TV, radio, Wi-Fi internet and a safe-deposit box. Pets are welcome both in the apartments and in the common areas. There is a garden for your use, with deckchairs and sunbeds, tables and chairs, barbeque, private beach with a jetty and swimming pool in the garden with a lake view. The sauna is open every day and can be booked from 08.00 to 20.00. Reception for any information and the bar are open every day from 08.00 to 16.00. 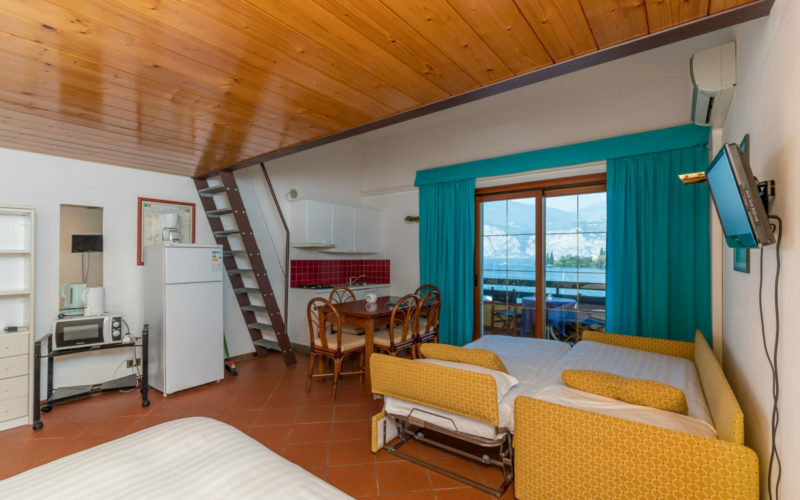 Available for your use: bicycles, laundry room with washing machine and ironing facilities, beach equipment, storage for windsurf boards, garage and lift.